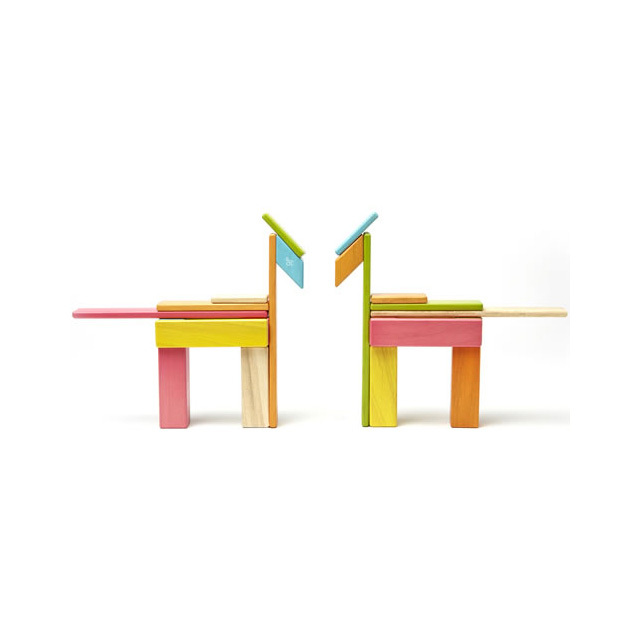 Create colourful structures with this beautiful set of Tegu Magnetic Wooden Building Blocks! 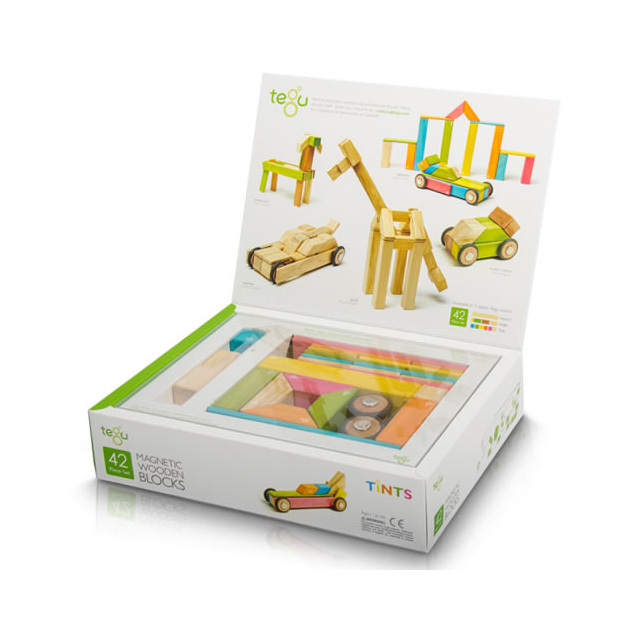 Tinted in bright colours and featuring magnets, Tegu is ready to inspire creative designs and lots of fun for young builders! 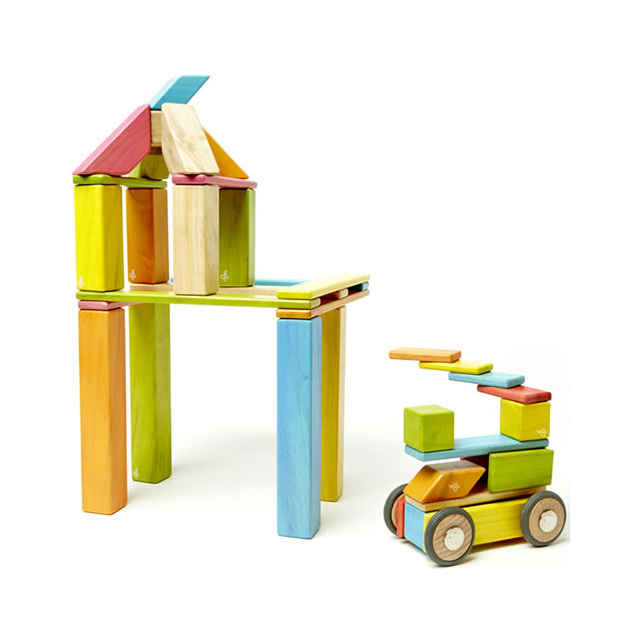 Complete with a set of 4 Tegu Magnetic Wooden Wheels, this 42 piece, large building set allows for the construction of structures as well as rolling vehicle creations! Includes 42 pieces in 9 different shapes: 4 x large columns, 6 x mega planks, 6 x long planks, 4 x medium columns, 2 x small trapezoids, 4 x large trapezoids and 6 x short planks, 6 cubes, and 4 x magnetic wheels. 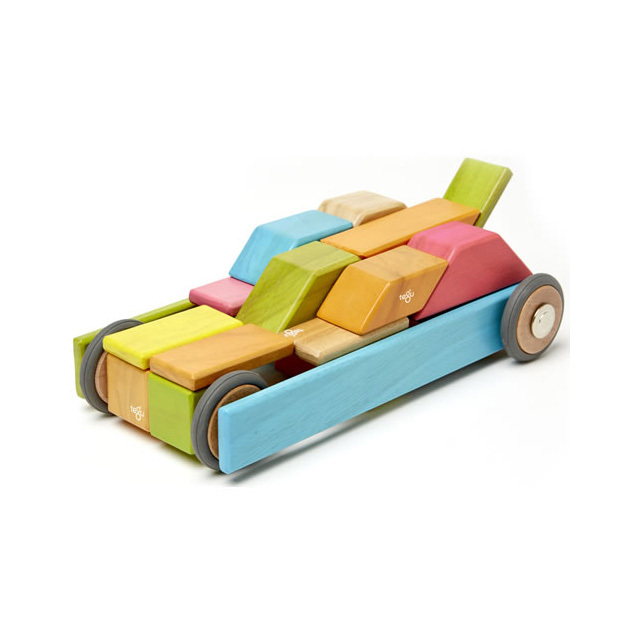 Made of eco-friendly, FSC-certified Honduran hardwoods with safe, non-toxic, water-based lacquers (for colours and clear coats), Tegu Blocks come packaged in a beautifully designed box large and rigid enough to store the blocks for many years to come.